Of course it makes intuitive sense that active transportation users and bus commuters would frequent retail businesses more often than those constrained by vehicles. But it is always better to have the hard facts on this data, and researchers in the City of London England have done just that. 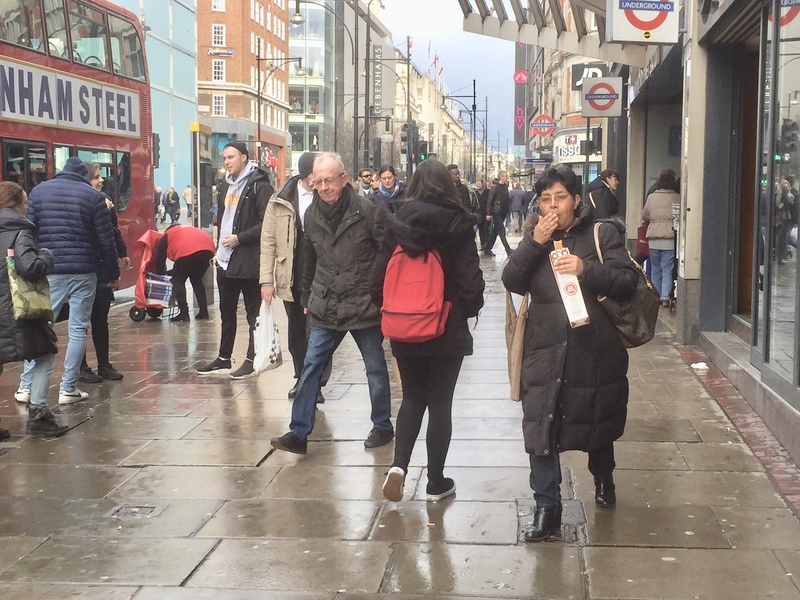 Transport for London (TfL) in Great Britain has released a new study with some staggering statistics about what happens when street improvements are made to facilitate walking and cycling. Time spent on retail streets increased by 216% between shopping, patronizing local cafes and sitting on street benches. Retail space vacancies declined by 17%. London’s Business Improvement Districts are 90% in favour of more street improvements to facilitate pedestrians, and 85% in favour of better facilities for cyclists. But the best news, and this is also in line with research conducted in Toronto and in New York City “people walking, cycling and using public transport spend the most in their local shops, spending 40% more each month than car drivers”. The study for TfL was conducted by a researcher at University College London’s Bartlett School of Planning. Footfall and retail sales in unimproved areas were compared to shopping areas that had implemented improvements such as wider sidewalks, increased outdoor seating, public parks and pedestrian crossings. Findings showed that retail rents increased by 7% in improved areas, and office space rents increased by 4%, suggesting that the street improvements translated into much more desirable spaces. You can download the entire report, which also has some great business case references for retail areas here. Local business improvement districts in London are also understanding the benefits of increased pedestrian and cycling clientele, with 90% seeing the advantages of pedestrian improvements and 85% wanting more cycling facilities in their area. And of course, more pedestrians and more cyclists on separated facilities, improved street design and slower speeds make roads safer and encourage travel to retail businesses by active transport, and make retailers more money. This BBC video below has been just released talking about Vision Zero and how to make the streets of London safer for everyone.